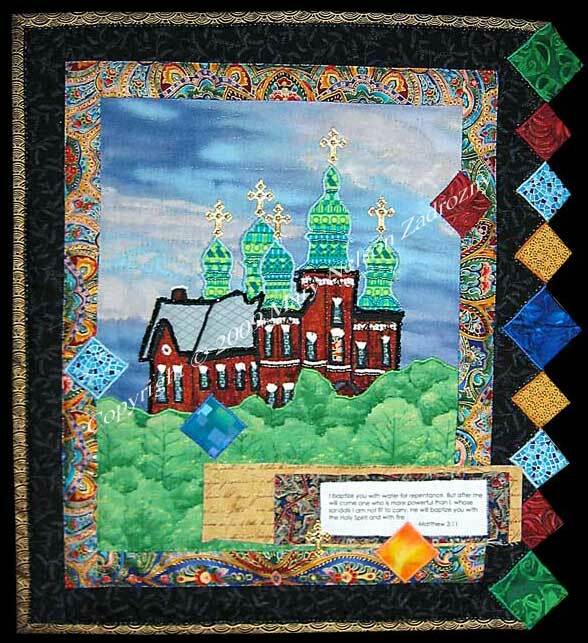 Title: "St John's of Tipp Hill"
Quilt Description: St. John the Baptist Ukrainian Church located in the Tipp Hill area of Syracuse, NY. The bible reference quote is Matthew 3:11. 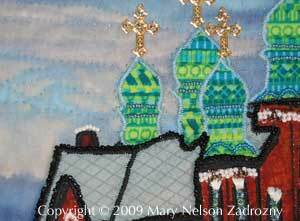 Materials: Cotton Fabrics, embellished with beads, crosses. Techniques: Machine Pieced, Machine Appliqued, Hand-Quilted.